Used but mint condition. 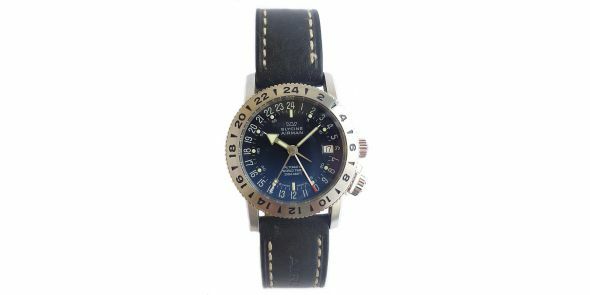 Originally purchased off us in October 2004. 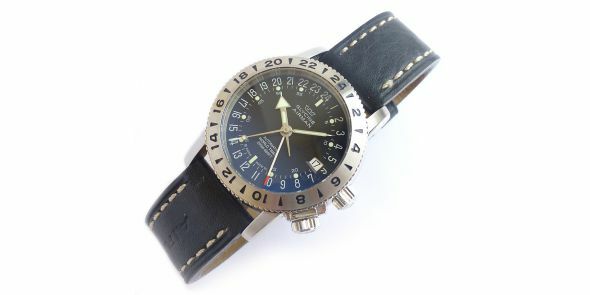 The UK retail price at the time was £1,640. 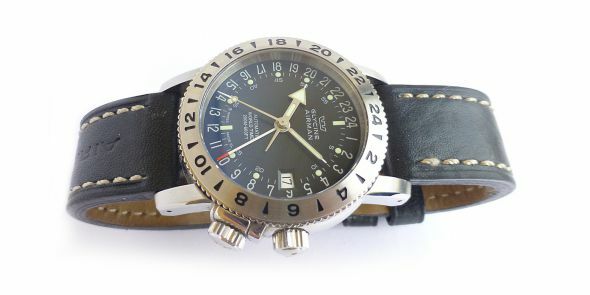 It has had very little wrist time with light use to the leather strap. 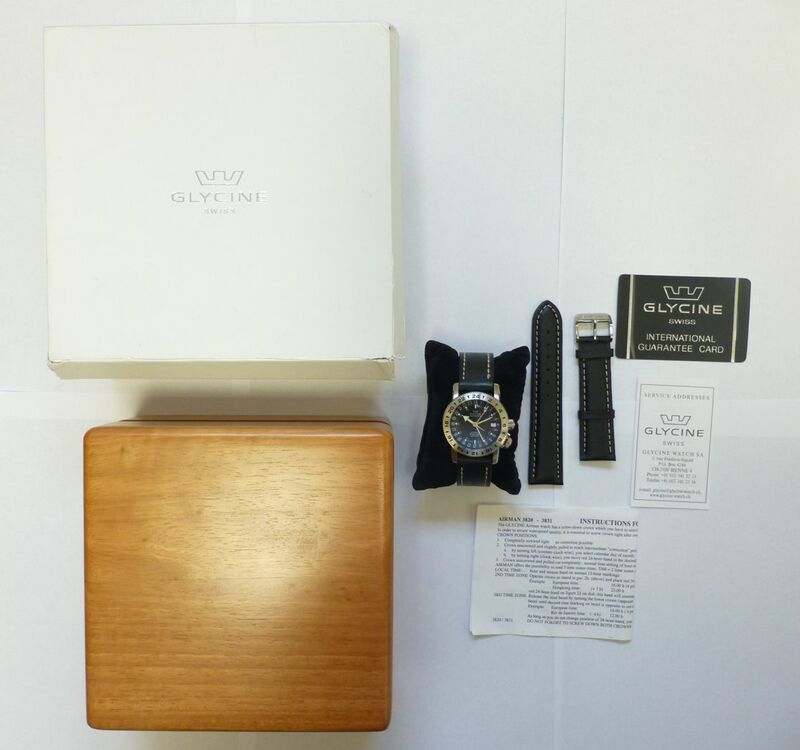 It comes complete with box and papers, there is a new and unused original Glycine leather strap with it, however it is 22 mm and the lug width on this watch is 20 mm. 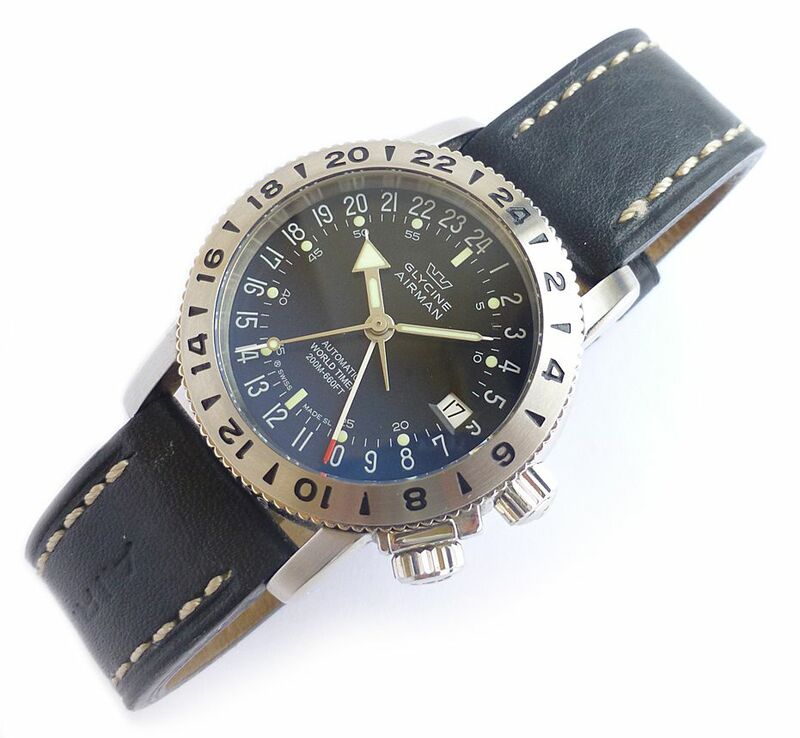 The Glycine Airman 18 is a regular size aviators automatic wristwatch with three time zone functionality with local time in regular 12 hour format but the second and third time zones in 24 hour format. 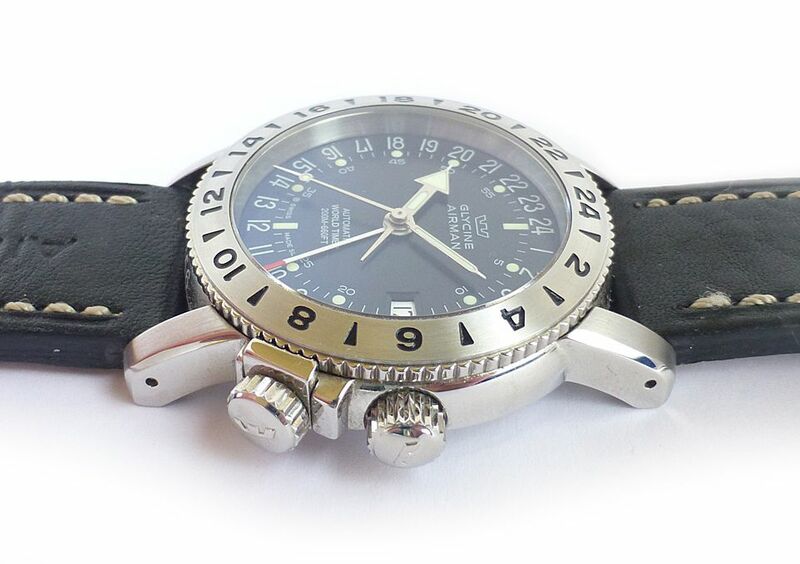 The case is stainless steel with a satinised and polished finish in regular size format of 38 mm. It has water resistant to 20 ATM. 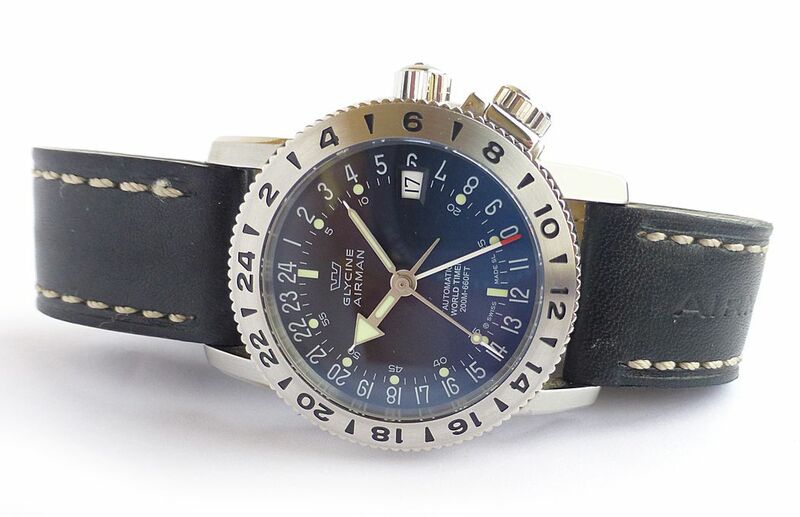 The crystal is scratch resistant sapphire with an anti reflective coating, it has a screw on case back with glass inset displaying the movement. 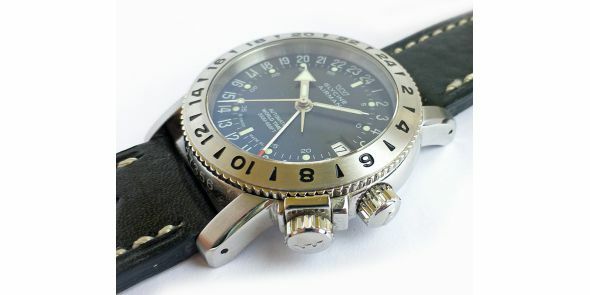 It has got a screw down crown and secondary crown locking the rotating time zone bezel. 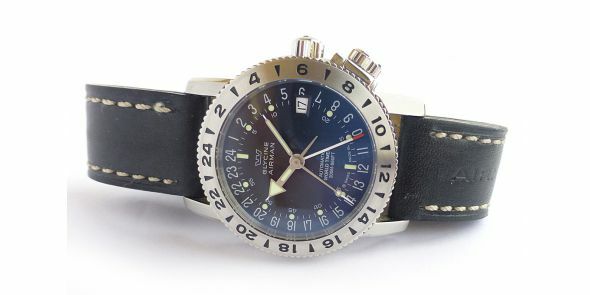 The dial is blue dÃ©gradÃ© with superluminova coated hands and indices. 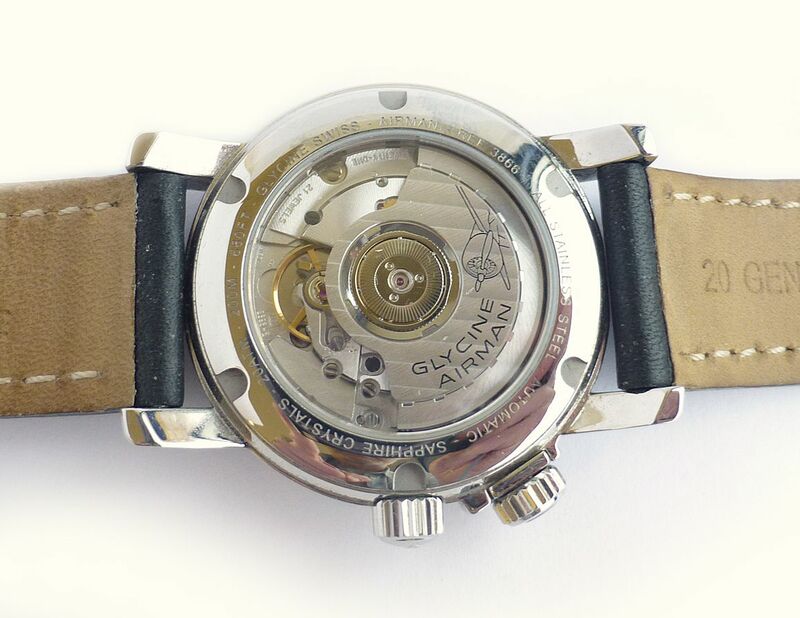 The movement is a Swiss made 21 jewel ETA 2893-2 automatic, and functions include hour, minute and seconds, 24 hour hand, the 24 hour hand also points to the third time zone on the rotating bezel, date display in window at the 3 position. 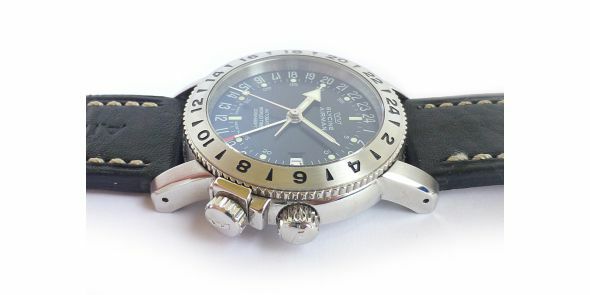 The power reserve is 42 hours and operates at 4/28'800 vibrations per hour. 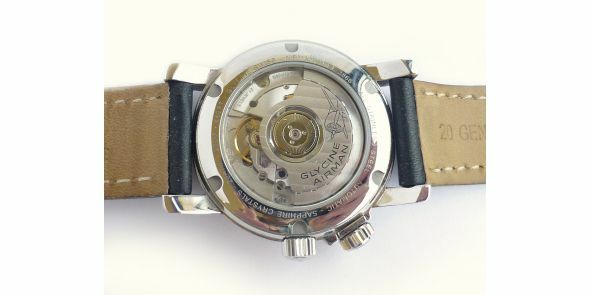 The movement is finely finished with rhodium coated oscillating weight on ball bearing, decorated with "CÃ´tes de GenÃ¨ve", Glycine crowns and is engraved with an airplane, bridges rhodium coated and decorated "perlÃ©", visible screws in blue finish. 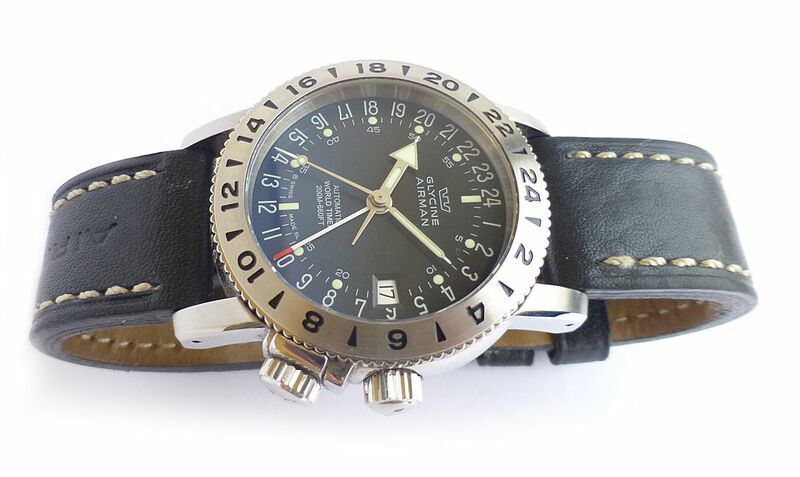 It comes on black leather strap with Glycine signed buckle. 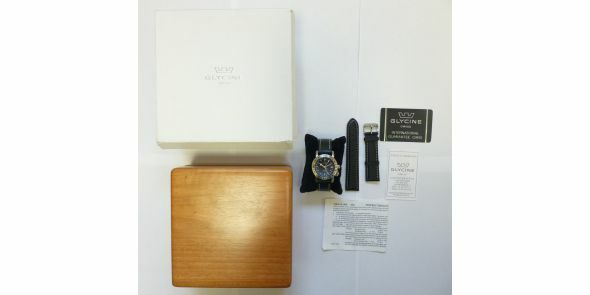 It comes in presentation box with all original paperwork and manufacturer warranty. 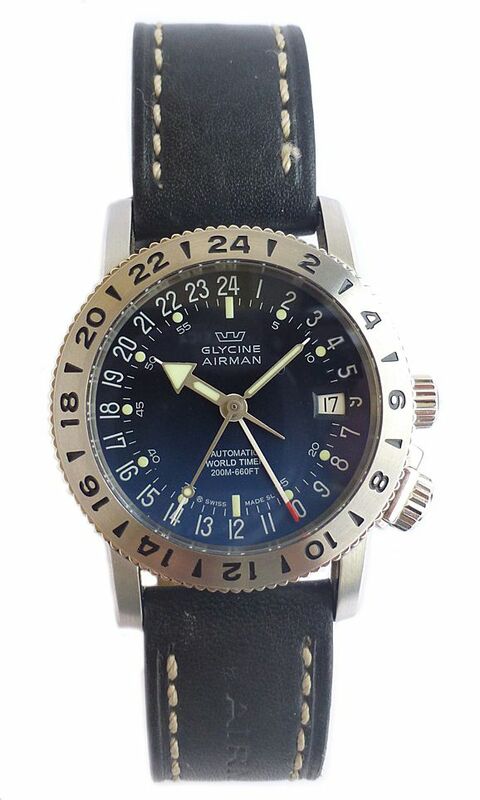 The Glycine model number is 3866. 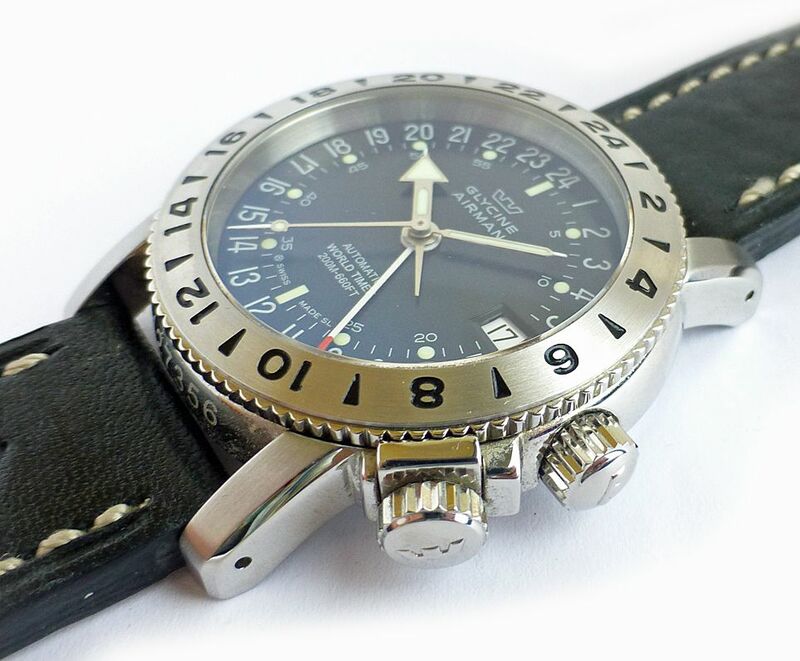 Dimensions are as follows: Dimensions are as follows: Width is 38 mm excluding the crown, 42 mm including the crown, 46 mm lug to lug and the thickness is 12 mm.